Thousands of students in Hong Kong have begun a week-long boycott of classes to protest against China’s stance on electoral reform in the territory. The movement is a prelude to a larger protest on October 1 planned by pro-democracy group Occupy Central. Beijing has rejected open nominations for the city’s leadership poll, dashing hopes of those seeking full democracy. The boycott is being organised by groups such as the Hong Kong Federation of Students and Scholarism. Student activists are also organising a series of rallies and public lectures in a park near government offices. About 400 academics and non-teaching staff are also taking part in support of the students, according to the South China Morning Post. 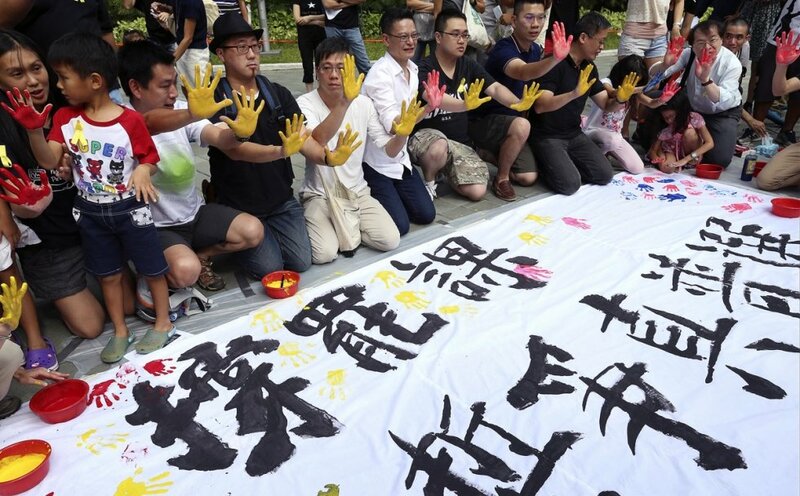 A larger pro-democracy protest is due to take place next month. Occupy Central has pledged to stage a sit-in at Hong Kong’s financial district, which critics have said may shut down the area. The issue of how Hong Kong can choose its leader gripped the city in recent months, sparking protests from both the pro-democracy and pro-Beijing camps. The Chinese government has promised direct elections for Hong Kong’s leader, the chief executive, by 2017. But in August, it ruled that voters would only have a choice from a list of two or three candidates selected by a nominating committee. Democracy activists say China will use this committee to screen out candidates it disapproves of. Pro-Beijing activists, meanwhile, believe the other camp is disrupting Hong Kong’s peace and stability. The protesting students say Beijing’s decision does not amount to the greater democracy Hong Kong was promised when it was handed back from Britain to China in 1997. However, the communist leadership in Beijing is turning firmly against ideas of political reform at home and has no interest in encouraging noisy critics.